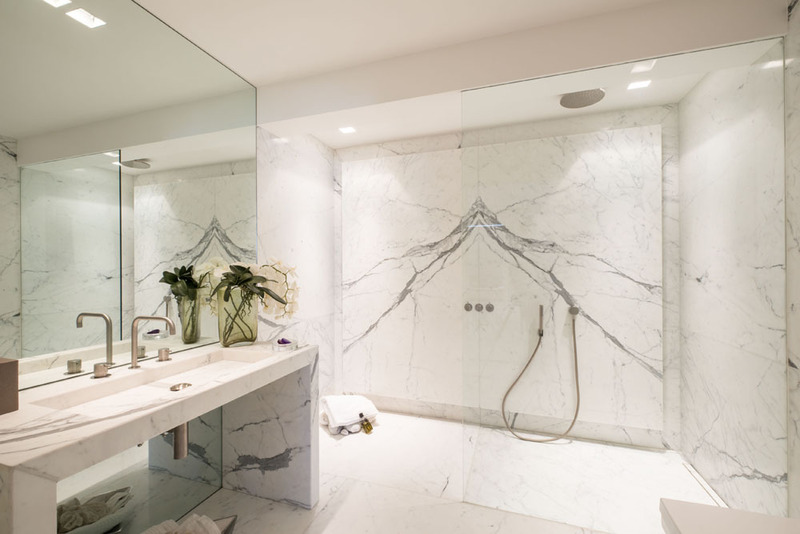 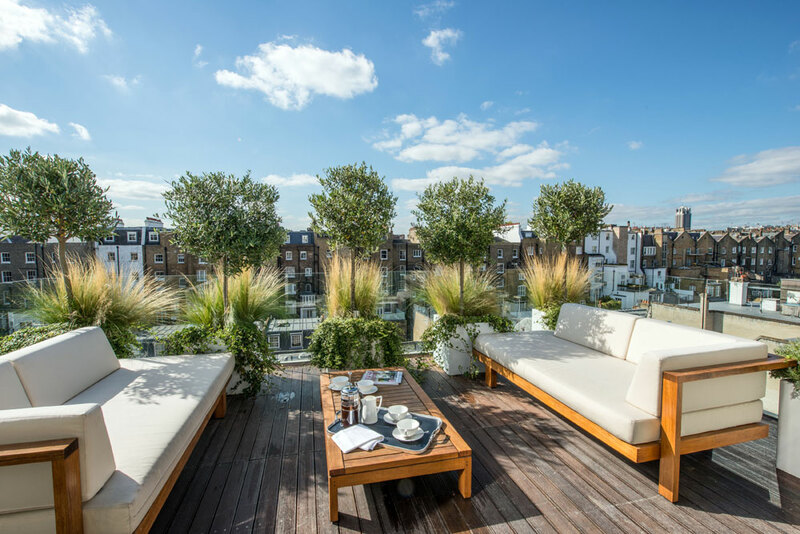 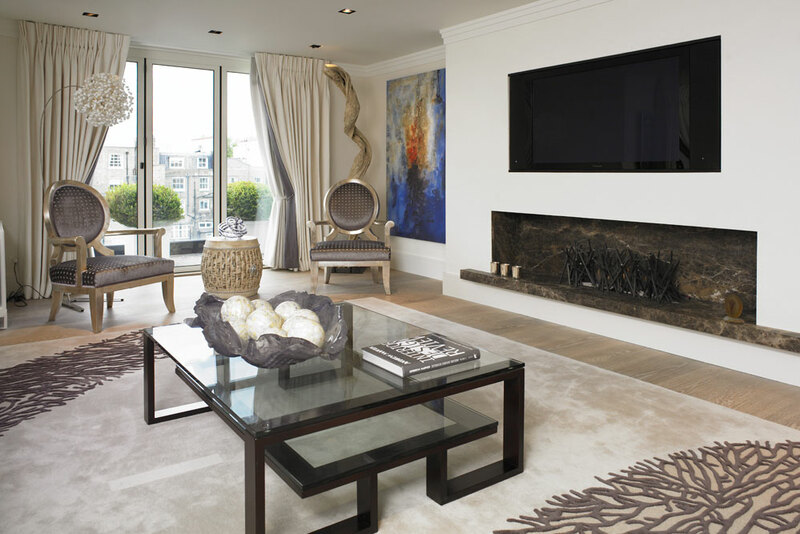 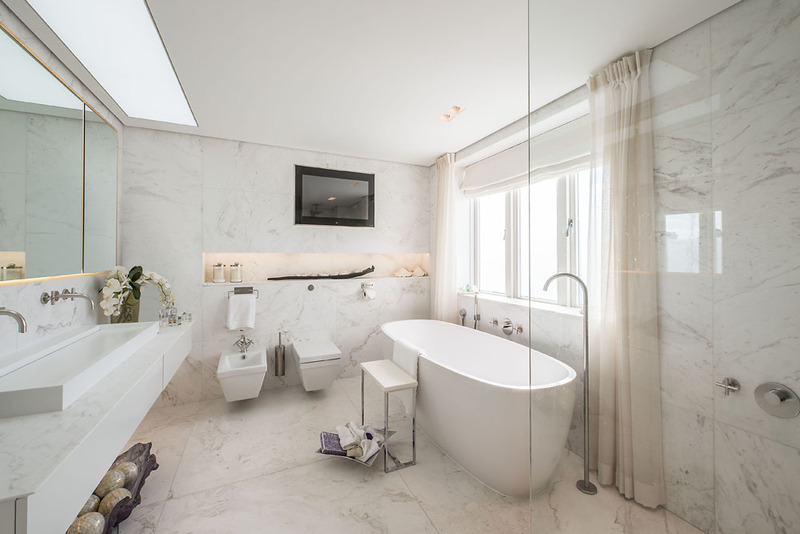 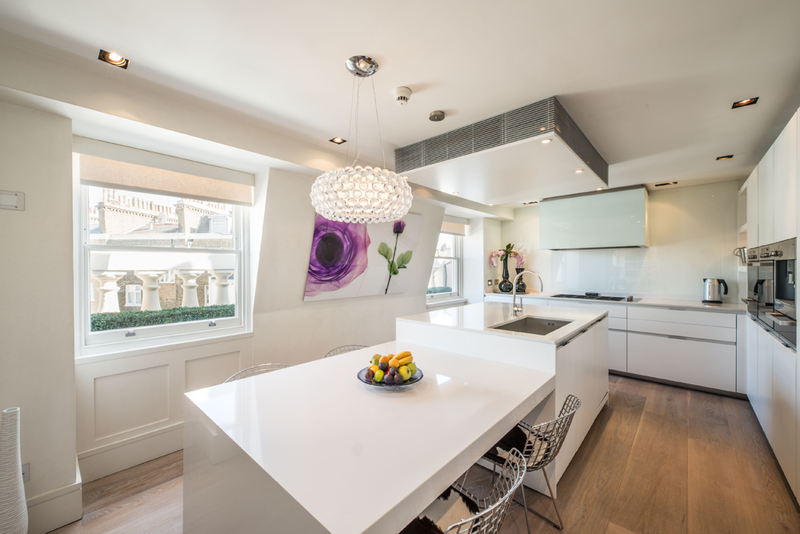 Chesham Street is located in the exclusive London area of Belgravia and this project presented some interesting challenges. 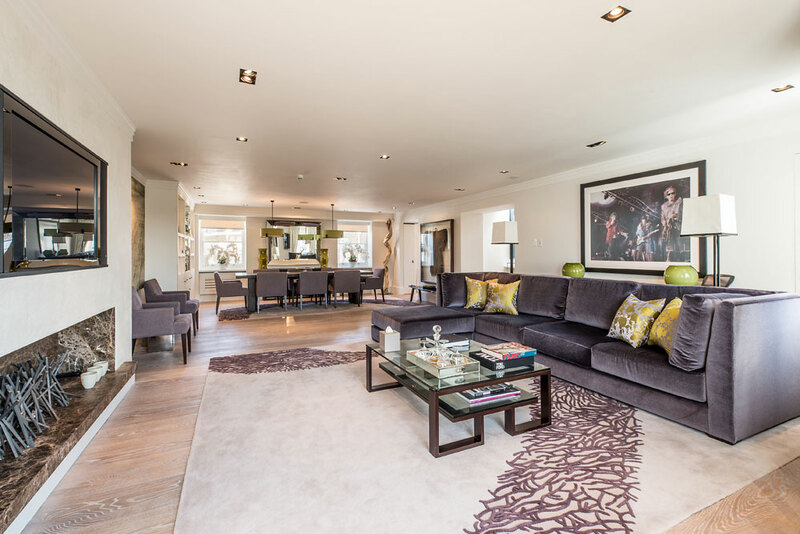 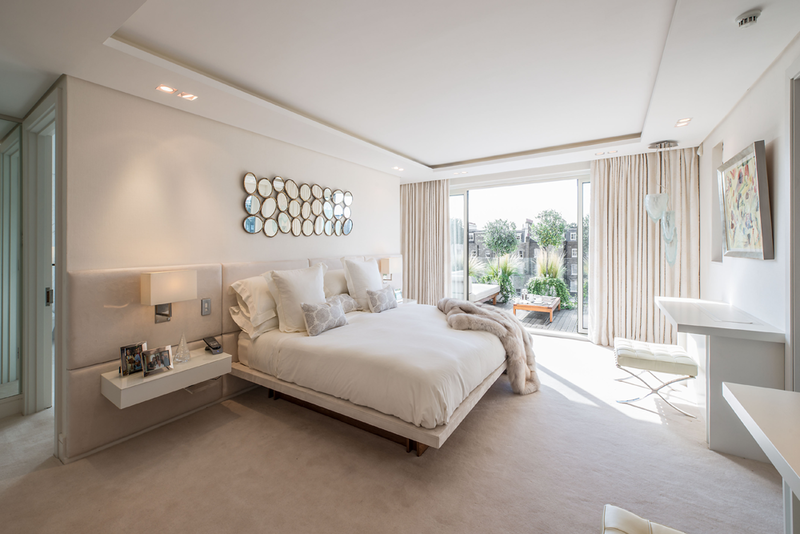 The brief from the Client was to transform the existing space into light and airy contemporary rooms whilst still maintaining a sense of tranquility. 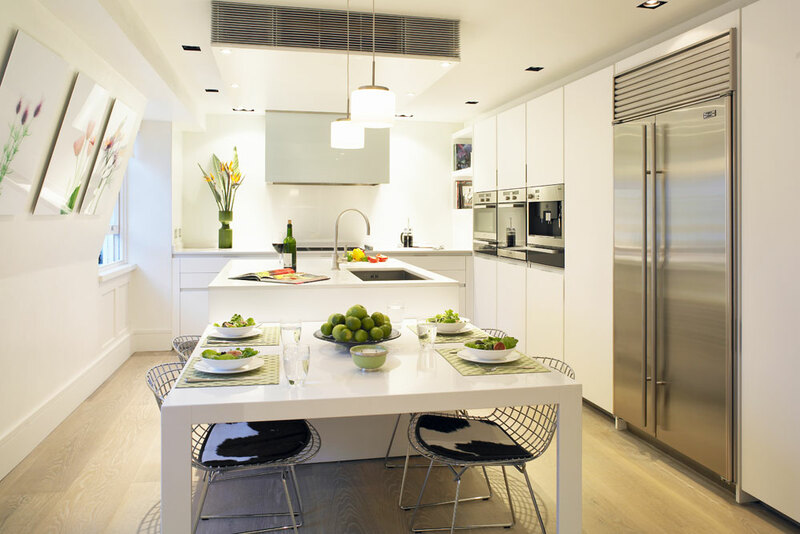 This was achieved through expanding the kitchen space and generous use of various shades of white. 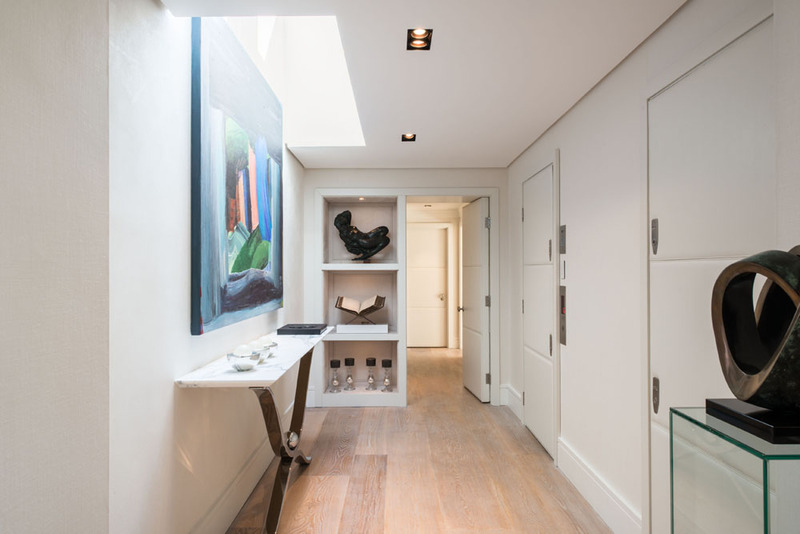 The floors were modeled using pale smoked oak boards finished in white oil while mirrors were strategically placed to give both light and a sense of depth.